There was also a people’s kitchen that evening, before the screening of the documentary. 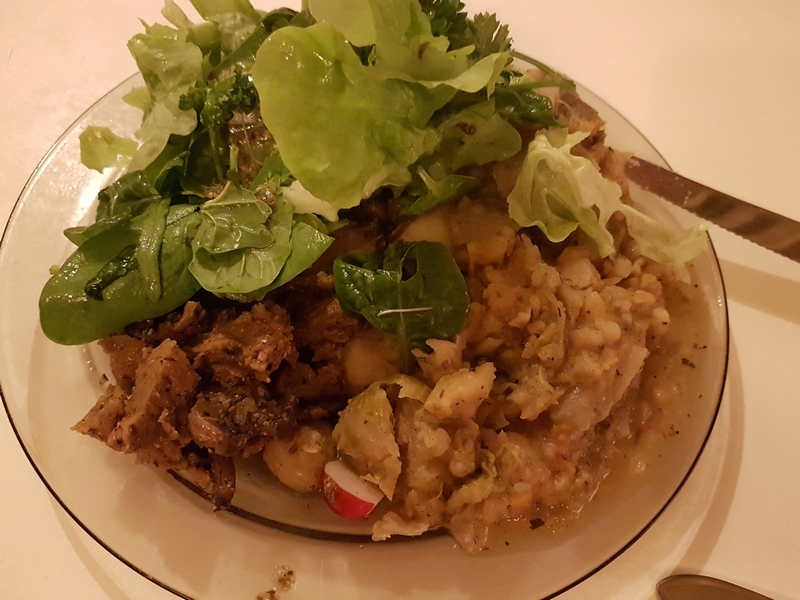 All you can eat Winter stew with seitan, potatoes and salad. Delicious, and a huge portion! 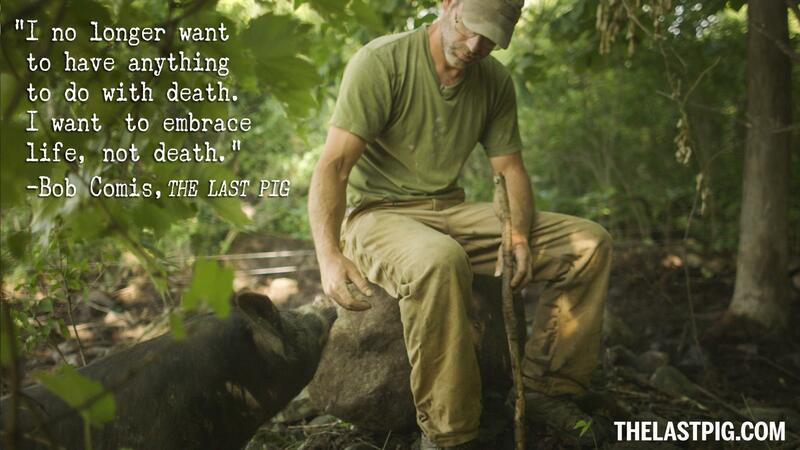 The Last Pig is the story of pig farmer Bob Comis in the United States. His story reminded me of that of Gustaf Söderfeldt, the Swedish farmer who switched to veganic farming a couple of years ago. In similar vein, Bob is having trouble with his conscience. 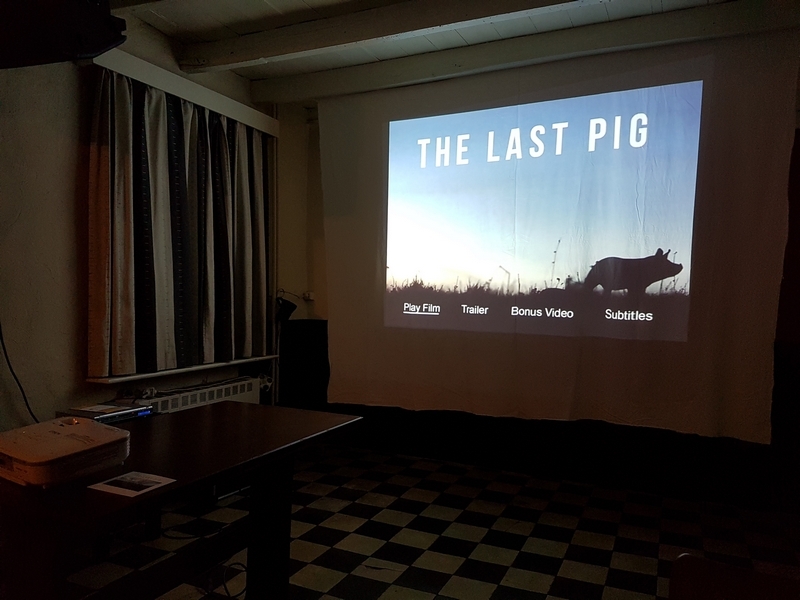 The documentary follows him during his last year as a pig farmer, until the last pigs leave the premises. Throughout the the docu, Bob talks – in a very serene and calm manner – about his company, life (and death) of the pigs and how he reached the decision to stop breeding pigs and switch to growing vegetables. The life of the pigs is beautifully portrayed. Intelligent, social and also very curious animals, who like to explore their surroundings. Bob’s pig farm is no typical industrial farm, with thousands of pigs packed together. In contrast to millions of other pigs worldwide who never see the light of day, can hardly turn around and cannot take a mud bath, these pigs can run outside, dig the ground with their snout and run around in fields and forests. It looks like an idyllic setting, although it also abruptly ends in the slaughterhouse. These images are also not shunned (although the killing itself is not portrayed). After the screening we discussed the docu. About the life of pigs, the possible impact of this documentary on non-vegans and the structural framework necessary to help farmers switch to veganic farming. It was also nice to meet some people I had previously only ‘known’ from Facebook! Entrance fee was a free contribution (target price 5 euro). A bargain to enjoy both a delicious meal, and see an interesting documentary. An interesting evening, with good food. Worth repeating! 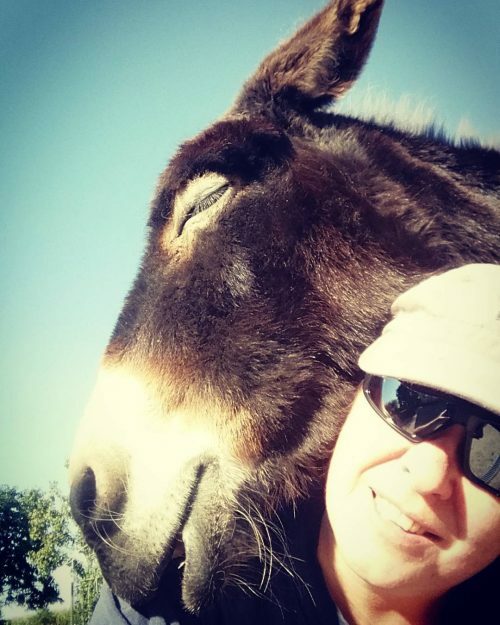 Eerder gepubliceerd op mijn andere blog Graswortels: Over varkens, koersepeerden en hutsepot.